Below you'll find answers to some of our most frequently asked questions. Please Contact Heartland Packaging if you do not for the answers you are looking for. 1. Does Heartland Packaging have a minimum order? No, we do not have a minimum order. However, orders over a specific size or amount may need to be coordinated specially. If you have an order that is too large to meet our online requirements, please contact us directly. 2. What shipping methods are available for my order? For most orders we ship UPS ground, however, if you need your order faster or in a different manner, we can ship that too. Our online system calculates shipping using ground standards automatically. If you need another shipping method, please contact us directly. 3. What are the different box types you offer? We offer a large variety of box types. Here is a list of a few, plus their descriptions. Regular Slotted Container (RSC) - a standard shipping box with flaps fold down and meet in the middle. Full Overlap Container (FOL) - a standard shipping carton where the top and bottom flaps overlap. Half Slotted Container (HSC) - a standard box with no flaps and is open on top. 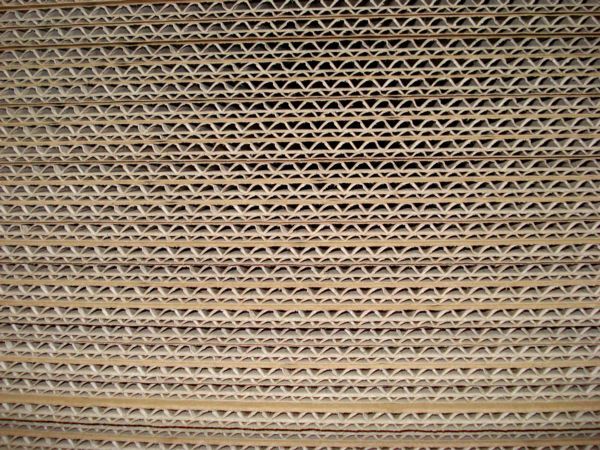 Corrugated Pad - used as an insert, extra padding, or to separate layers. For more detail, check out our box style guide. 4. Which dimensions should I enter for the box I need, inside or outside? All dimensions we use for standard ordering are inside dimensions of the assembled box. If you have questions about our measuring standards or are using outside dimensions, please contact us for ordering details. 5. What box colors do you offer? Most custom boxes that we offer come in standard brown. However, if you need an alternative color such as white, please contact us. We would be happy to try to accommodate your packaging needs. 6. Does your site keep my credit card and other personal information secure? Yes. We use PayPal, the largest name in online payments, to process our online pay transactions. That means you can be sure your credit card information will only be transmitted in a secure and reliable manner. 7. Will my personal information be shared with any other organizations? No. We do not share the information you provide to us in ordering or online services unless required by law. Yes. We have integrated with UPS to give your order a unique tracking number. If you create an online account, you will be able to login and see your orders plus tracking numbers we assign to them. 9. My order has not been delivered, what should I do now? Please contact us directly. We will contact our shipping company directly to verify your order is en route. If the information above did not answer your questions, please contact us. We would love to help you in any way we can.